From Prague we travel north-east of the City. After about two and half hours, we reach our destination – Adršpach. There our minibus is parked and we go walking to explore the wonders of the Adršpach–Teplice rocks. In sections of our hike, there are ladders to the rock lake. A rowing boat with a boatman is at our disposal. After our hike, we have about one hour for a late lunch or coffee in a local restaurant. Then we head back to Prague. The Adršpach-Teplice Rocks (Czech: Adršpašsko-teplické skály) are an unusual set of sandstone formations covering 17 km2 in northeastern Bohemia. They are named after two adjacent municipalities: Adršpach, and Teplice nad Metují. 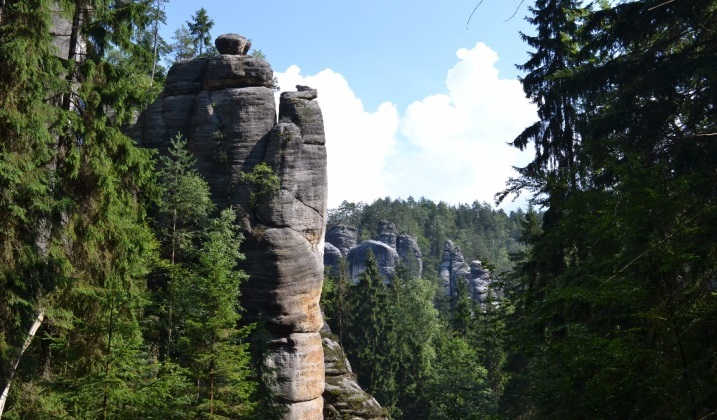 Between the Krkonoše range and the Orlík Hills, at the north-eastern tip of Bohemia, are the extensive complexes of sandstone crags known as the “rock cities”. 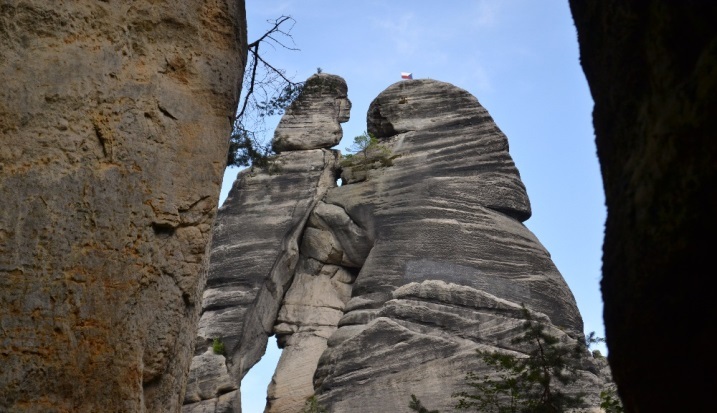 The largest of these rock cities is the 25 km long and 4 km wide rock massif of the Teplice and Adršpach Crags. These two extraordinary areas (now nature reserves) are where the formerly continuous masses of sandstone were broken up and fissured by erosion and reduced to a host of isolated rock towers up to 40 metres high and a labyrinth of gorges. The rocks have been protected as a national nature reserve since 1933, and since 1991 the whole adjacent region of Broumovsko has enjoyed the status of a protected landscape area. Tourists may visit the rocks via a number of marked trails. The area is a popular destination for rock climbers. In recent years, it has become a focus for the high-risk climbing-related sport of rock jumping.